It's time for the New Product Launch! All the Stamps, Die-namics, and Stencils can be found HERE. Please remember to visit each of the MFT Designers' October New Product Launch posts on the MFT Blog and leave a comment by the end of the day on Thursday, November 5 for your chance to WIN one of two, $100 Gift Vouchers. Ready? Set. Comment! I have two cards to share with you today, they both feature a number of the new card stock colors and the Let's Get Cozy stamp set and Diagonal Quilt Square Cover-Up Die-namics. I collected a few sheets of my favourite new colors of card stock, Blue Yonder, Cactus, and Chili Powder, along with a sheet of Kraft and I got to work stamping. I stamped each piece of card stock with the Burlap Background and the coordinating color of Hybrid Ink. Once everything was stamped, I die-cut the card stock with the Diagonal Quilt Square Cover-Up Die-namics. Now comes the fun part, putting the quilt together! 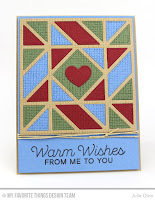 I paired the Diagonal Quilt with a couple of sentiments from the Let's Get Cozy stamp set. This set works so well with the quilt dies and a number of the winter stamp sets. OMW it looks like a real quilt. great detail work. Awesome cards! I love the rustic look you gave the diagonal quilt! Wonderful cards, love the quilt theme!! Great color combo on your pretty quilts! Beautiful quilt cards!!! I love this die-namics!!! Love the quilt cards--beautiful colors! I'm a quilter so I LOVE your card!! I love the quilt cover plates and this card also uses the new MFT colors that just came out... Love that Blue Yonder! Wonderful rustic country feel to your cards. This is such a sweet card! Love the colors, the patterns and the sentiment! Great cards! 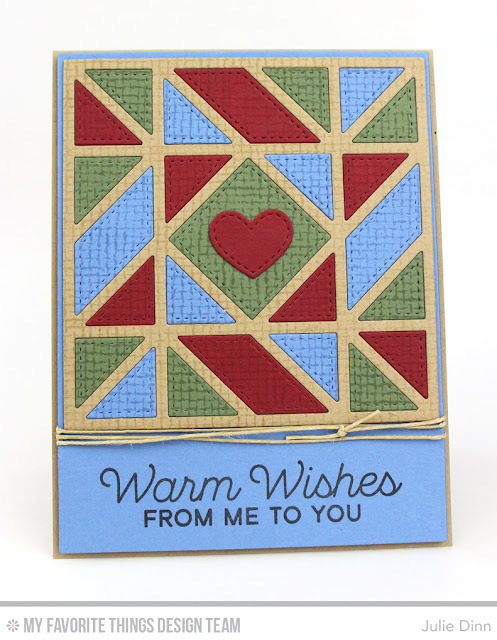 I love the quilted die and the colors that you used! Cute, cute! One can never have too many quilts! Your card is darling! That quilt die is Awesome!! The quilt die provides endless opportunities!!! Love it! That quilt pattern looks so cozy. Oh my!! Thinking I would like to cuddle up with the first quilt. Love the colors and of course...the heart! Gorgeous quilt for the holidays! The little details definitely stand out in this card. Love the color patterns you chose. the sentiment is so cute with this quilt die cut ! Great cards. Love the quilt pattern. It works perfectly with the sentiments. These are must haves! Absolutely love the color combinations! The fact that you can get several cards from one cut off of different colors is fantastic! Perfect sentiment for the quilt! Your little quilts are so sweet and the sentiments are perfect! Reminds me of the patchwork quilt my grandmother made for me many, many years ago (and I still have it). Nicely done! Don't you just love quilt cards. This one really expresses holiday fun. I'd make this for my honey! Julie, WHOAA, this looks really hard to line up, but you did an awesome job with the quilt pieces! So pretty! What a lovely quilted look! To say I love these would be an understatement. Great job! Amazing quilted card! I love it! Very cool card. Love the colors! Wonderful inspirations for quilted cards. 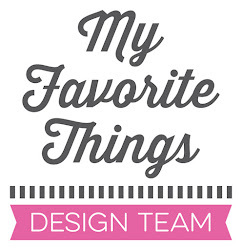 Amazing cards.. New MFT release is just fabulous and your projects too.Thanks for sharing! Beautiful quilt cards! Love he colors! The Let's Cuddle sentiment goes great with the card! so cute- really love your cozy quilts! Nice to make a paper quilt rather than a real one. Gorgeous quilt cards, thanks for all the inspiration. Love your card!! The Quilt Cover Up is amazing & I love the new colors!! Fabulous cards! Love the subtle texture of the background stamping on the pieces! Beautiful quilts, I mean, cards! : ) Love the color combos and those fabulous sentiments. wonderful colours and patchwork look. Beautiful color combos, Jules! I love this new die! It is on it's way to my house! Can't wait to get it and play! 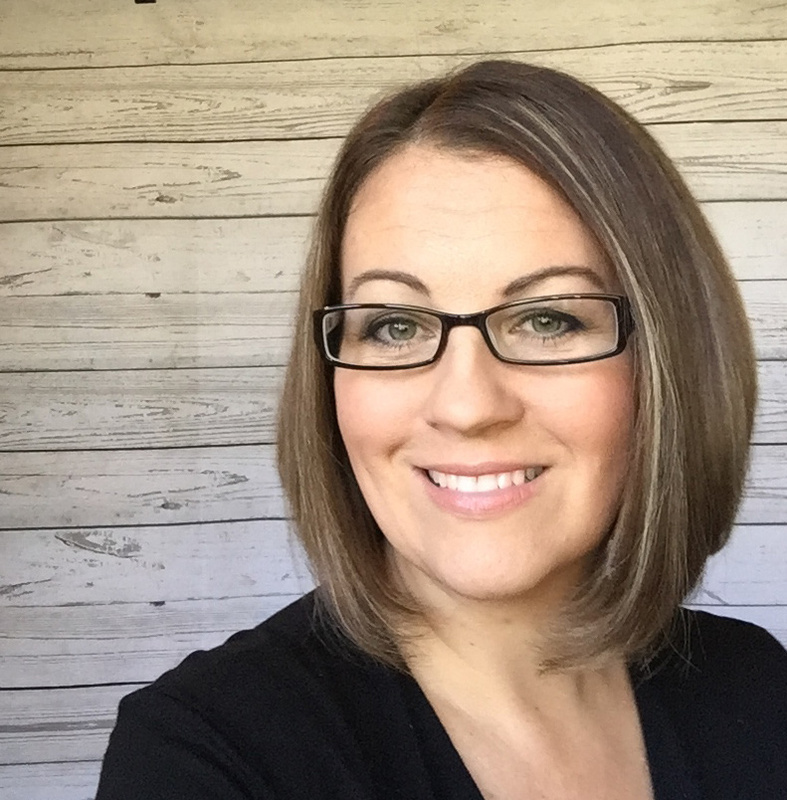 You have really inspired me! Wow your quilt card is gorgeous, pretty color combo! Beautiful cards. Love the quilt look. Great color combo on your quilt cards. Such a pretty quilt square. Can see a lot of great cards from this. Great quilt cards! Love your color combos! Love the tone on tone burlap! Such beautiful quilts. Love the texture. Adorable creations! Love the diagonal quilt, TFS! Fabulous cards! Love the colors! I also love the dimensional look you get with the die! Awsome quilted cards! Bright and nice colors. SOOOO very cute! Love the quilted feel! I love the stamped texture of your quilt cards! Awesome, one of my favorites! Love these quilted cards, Julie! Great for the holidays. Thanks, Paulette S.